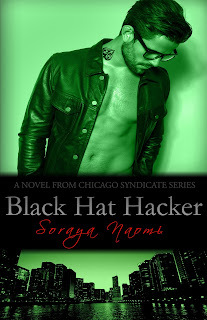 This is my first read by Soraya Naomi but it certainly won’t be my last and after reading Black Hat Hacker I will be going back to read the other five books in this series. Black Hat Hacker is the sixth book in the Chicago Syndicate series and even though I have not read the previous books I can concur that this can be read as a standalone. My curiosity has been piqued though by the other members of the syndicate hence now wanting to go back and start from the beginning. 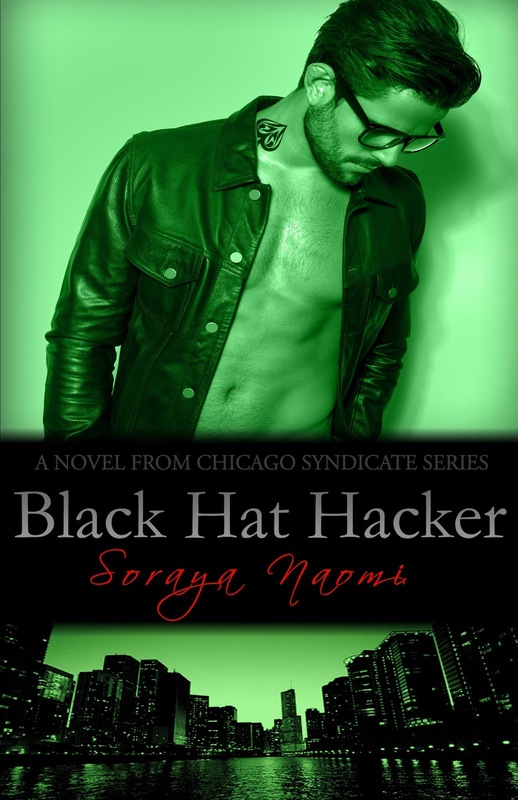 Mafia books are like crack to me, I love them with a passion, mix that up with my love of cyber-crime and this book screamed READ ME!! 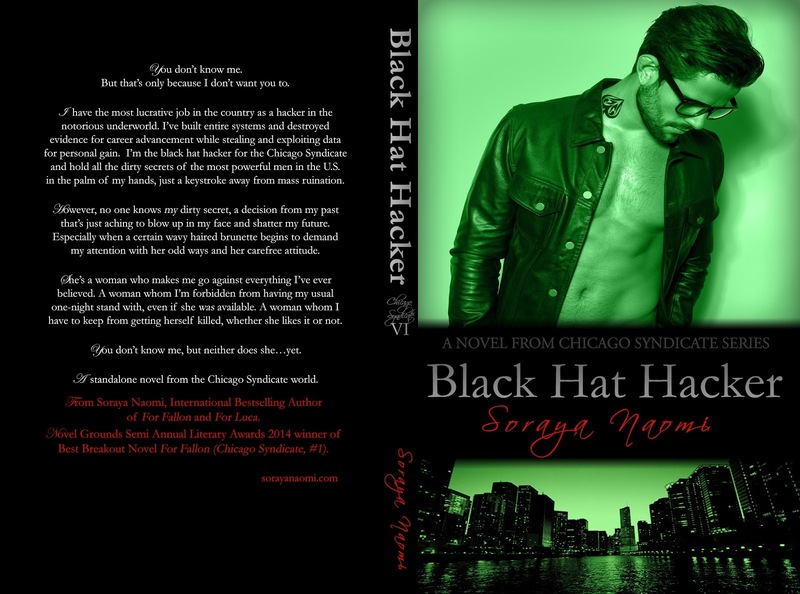 Henry was not “blood family” but was a well-respected member of the Syndicate and his area of expertise in hacking was a necessity in the growing use of cyber-crime amongst the Mafia. Henry was a man jaded by women or at least one woman, who had ruined him for all women that came after her. Determined not to lose his heart ever again, his dalliances with women, were just that, one night, no mornings and no follow ups. Work kept him busy and he didn’t need distractions but there was one woman that definitely caught his eye, but she was off limits. Mary was the sister of the brothers that ran The Syndicate, they were extremely protective of their sister even though she pushed them to their limits. Mary was strong willed, independent, only twenty years old and didn’t really grasp the concept that her brothers “jobs” more than put her in danger. They tried to keep her shielded, but paths do cross and Mary wasn’t totally oblivious but she was at college, she had her apartment and her dog and that was all she needed. Mary wore her heart on her sleeve and lust in her eyes and that was all directed towards one man, Henry. He knew of her existence but that was where it ended, until one night…it didn’t. 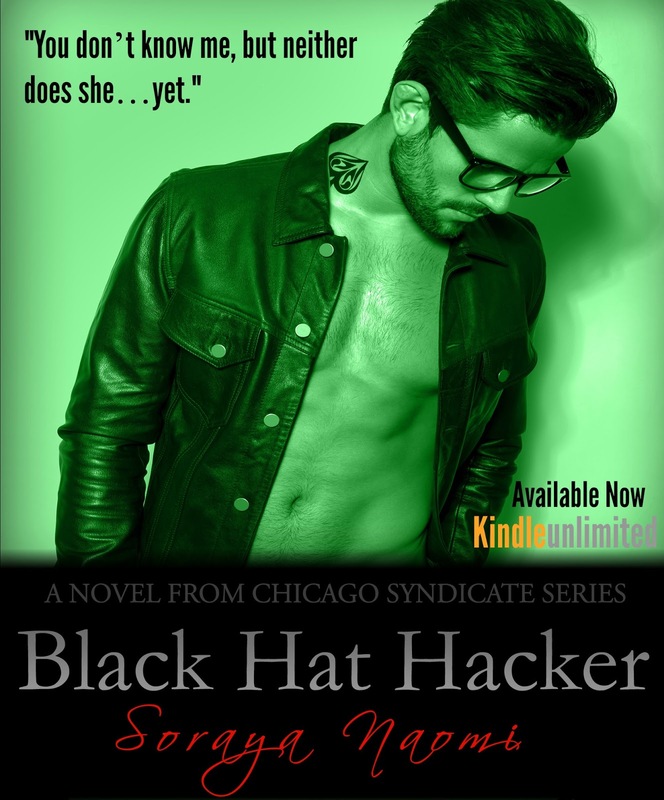 Soraya Naomi delivers a book that was fast paced, action packed, suspenseful, intriguing, romantic and hot, so there is definitely something there for everyone. With the syndicate’s club being hacked and Henry’s past seemingly coming back to haunt him, everyone is in danger and the threat as yet is anonymous. A fledgling relationship and a hacker that has made this personal is a lot for one man to take and mistakes are definitely made. Murder and mayhem is rife, but who will win? This was a book that swept me away with the romance as the real Henry finally shows himself and the closed off version is slowly melted away by Mary. Mary could test the patience of a saint with her less than perfect choices but never once did I doubt the affection and love that she had for Henry. The action side of the plot, perfectly balanced the romance and definitely kept those pages turning while quenching my thirst for a mafia fix. This is definitely an author I will be reading again and as I said above, I cannot wait to start this series from the very beginning.